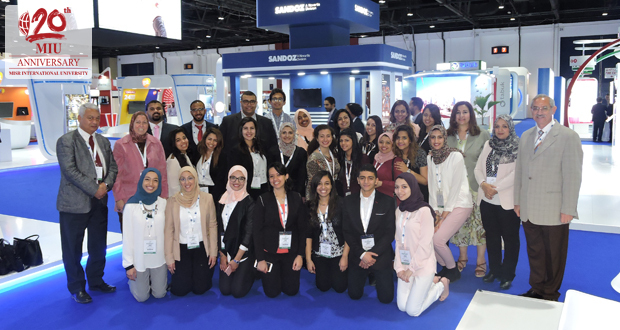 Two MIU Pharmacy student posters won the Best Innovative Research Poster Award at the 22nd Dubai International Pharmaceuticals and Technologies Conference and Exhibition (DUPHAT) in Dubai. 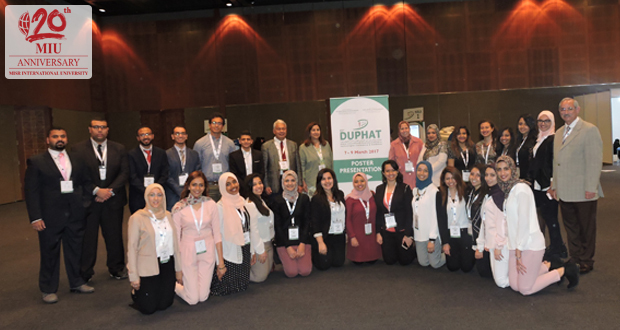 The DUPHAT is organized under the patronage of H.H. Sheikh Hamdan Bin Rashid Al Maktoum, Deputy Ruler of Dubai, Minister of Finance, UAE and President of Dubai Health Authority.